Hyperloop One has a lofty goal: Develop a new Silk Road through Russia. The company announced on Tuesday that it has signed an agreement to explore adding "high capacity passenger systems" to Moscow's transit, which could make the commute "a fraction of what it is today." But in the long term, it hopes to build "a cargo Hyperloop that whisks freight containers from China to Europe in a day," said cofounder Shervin Pishevar in a press release, announcing that the company has struck up a partnership with the city of Moscow and Summa Group. L.A.-based Hyperloop One is working to turn Elon Musk's Hyperloop concept into a reality. 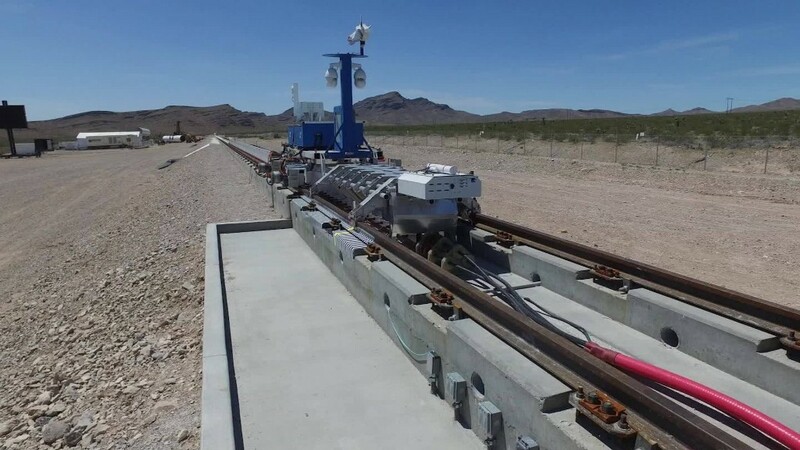 It is racing against another Los Angeles-based company to do so, Hyperloop Transportation Technologies. Pishevar, who is a venture capitalist, and Brogan BamBrogan, a former SpaceX propulsion engineer, cofounded Hyperloop One in 2014. Musk's original idea was a Hyperloop train system that would be able to make the journey from San Francisco to Los Angeles in 35 minutes. Hyperloop One has set ambitious goals for itself, like moving cargo by 2019 and carrying passengers by 2021. In May, the company had its first public test of its acceleration technology and announced that it had raised $80 million in new funding. The company has struck up partnerships with big name transportation companies around the world and is exploring the Hyperloop's feasibility in countries like Finland, Sweden, the Netherlands, Switzerland, Dubai and the U.K.